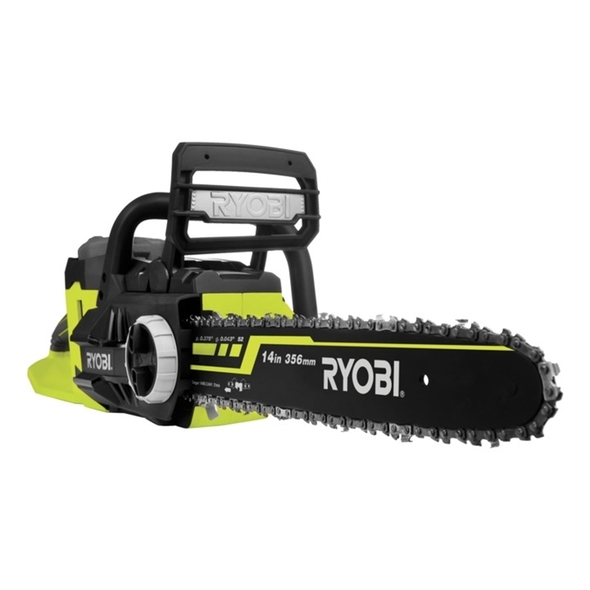 The RYOBI 36V Brushless Chainsaw provide a real power alternative to petrol and electric garden tools. The brushless motor combined with the high performance 36V battery provides the consumers with the “petrol performance” with the hassle of mixing fuel and breath in the fumes, while the battery provides cordless freedom. The RYOBI 36V range provides one battery which fits multi tools allowing the consumer to save money. • Rugged construction with anti-vibration over-mold grip handle and central battery location give best in class handling. • Easy to adjust tool-less chain tensioning and automatic oiling system for greater convenience. • 21m/sec chain speed and large 356mm bar length. 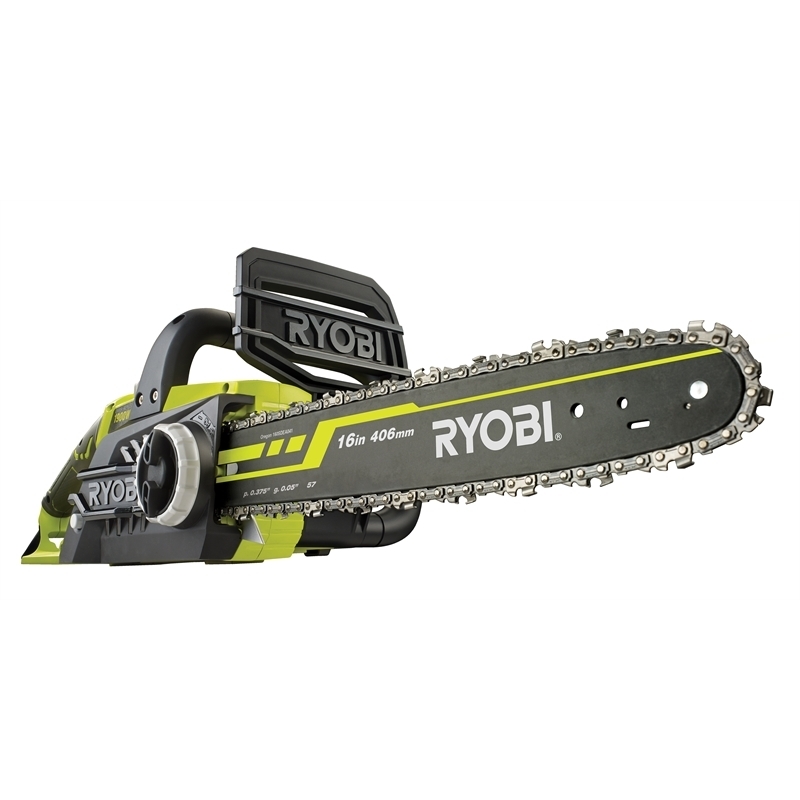 •The Ryobi Brushless technology delivers more power, longer runtime, zero emissions, more efficient, less noise & vibration and lower running cost. • Petrol performance without the hassl. •No need to worry about fumes or cords like other power sources.